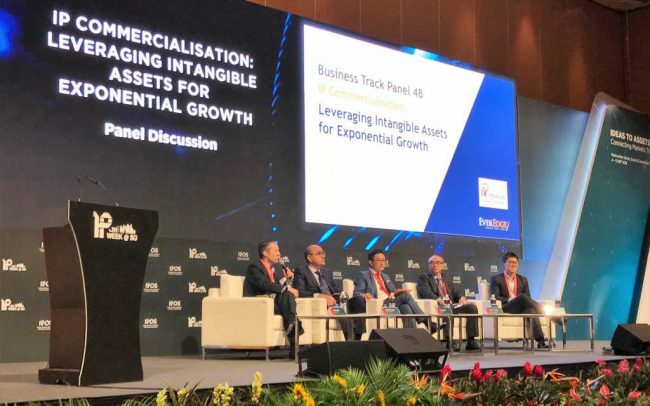 This week, I attended the 7th iteration of Singapore Intellectual Property (“IP”) Week at Marina Bay Sands and spoke as part of a panel on “Monetising Intangible Assets for Exponential Growth“. Overall, the conference was quite eye-opening as the experience of it was very different from my initial expectations. In particular, the event allowed tryb to access many senior decision makers, two of whom were my fellow panelists – Satvinder Singh (Assistant CEO, Enterprise Singapore) and Tan Shau En (Assistant Chief Executive, Intellectual Property Office of Singapore [“IPOS”]).